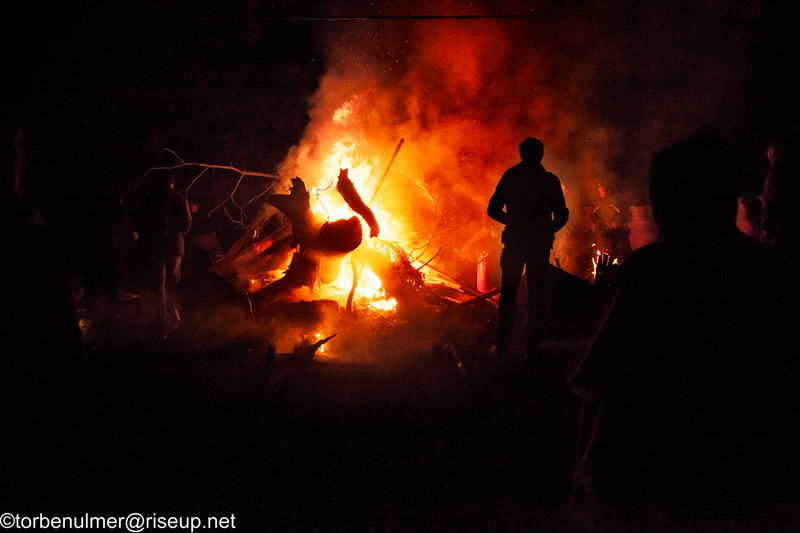 Anti-authoritarian criticism on la #ZAD of #NDDL and a call to meet May 13-12. Plus image gallery from ZAD from April. Originally published by ZAD Resist. Images by Torben Ulmer – Photojournalist. May 14, 2018 has been set by the state as the deadline for the “illegal” occupants that are not wishing to regularize to leave the premises… This raises the question of what is an “illegal” occupant? And what are these “premises”? And where are these people supposed to go? Will the “zone” become a territory with controlled access? Who will have access? Who will give permission? On what basis? In what geographical boundaries? What does this imply as measures of social control? What will happen to people deemed “illegal”? After having sold the road of the barricades (RD281) at a “fair price” and imposed the destruction of Lama Fâché by force, the filing of project files (not previously communicated to the entire movement or to all the occupants) was done, despite deep disagreements over this strategy, through a lobbying campaign in a pretext of “state of emergency” (with in the background the real risks of physical punishment in a mode of “cartrunk or pressure”). For years already, internal pressures and power struggles plague life on la ZAD. For a long time, the anti-authoritarians have stepped on their brakes not to compromise the fight against the airport. Today, time is no longer to compromise with the “capitalist-friendly” or hierarchical fringes. The airport is dead, long live the struggles! fights about the eviction of barricades on 26/04/2018. Zadist standing on top of the big barricade as the gendarmerie retreats.